Mama Love: BabyFirst Review + Giveaway! 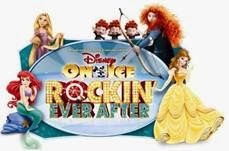 My youngest child, who is two, isn't really into many TV shows like her siblings were at her age, but there are a few select shows that she will watch and loves, Most of them come from BabyFirst! BabyFirst’s content is created by leading experts in child development and education, and provides interactive opportunities for parents and baby to bond, learn, and explore together. Featuring language development, abstract ideas like numbers, music, and art, they entertain baby and teach at the same time. 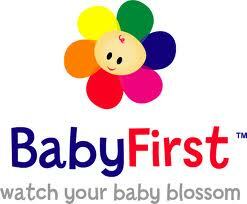 In a world full of annoying cartoon characters, BabyFirst has a line of innovative, inspiring, and adorable DVDs. As a mother of 3 (2 elementary school children and one toddler) I strive to find age appropriate and stimulating TV shows/ Movies for them, not your typical mind numbing pointless cartoons! BabyFirst obviously shares my philosophy and I love the lessons and the messages in this entire line of educational DVDs. Designed for infants, toddlers, and preschoolers. We Were Sent The Harry The Bunny DVD and it has become my toddler’s Favorite! Harry the Bunny is the sweetest and funniest bunny around. Join Harry on a new and exciting journey of natural discovery in this educational DVD for babies and toddlers from BabyFirstTV. Harry the Bunny is a wonderful show broken down into 3 episodes that a made to keep up with your child's attention span! I know as a fact my 2 year old will sit and watch one episode then, go play and eventually want to watch more, there is no way she would stay and watch a full hour long show so it's great how they have it broken down in to smaller episodes! This delightful dvd shows Harry the Bunny, on his fun filled adventures of natural discovery, learning, and socializing with Family and Friends! Harry also helps teach daily routines such as brushing teeth and etc, which my little one loves, we recently put a check list up in her room for morning routine and bedtime routine and she just loves following all the steps it truly has helped establish a great routine for us! 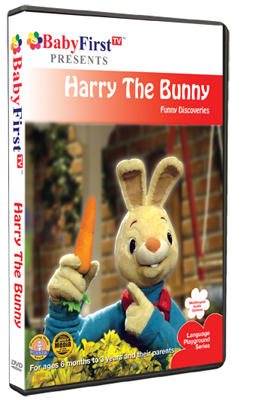 Overall we Love BabyFirst and Harry the Bunny, made for ages 6 month - 3 years old I'm sure your baby toddler or preschooler would love this fun filled educational DVD too! Want to Win one? Enter Below!! My favourite product is the Rainbow Horse Plush Toy.